Spring break is over now or wrapping up, so students everywhere have turned wistful minds toward summer vacation–some will need to find jobs, others will kill time with friends and electronic devices…others will gear up for something huge, a way to make a mark on the world that is indelible and profound. 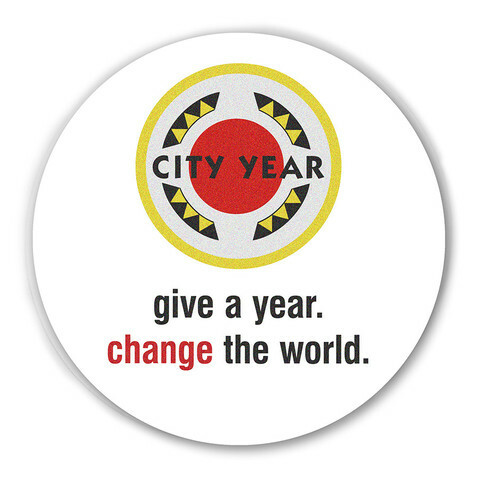 They will take on a City Year. This is an education-focused non-profit that unites young people from all backgrounds in a year of full-time service. The organization is focused on fighting the national dropout crisis, and their corps of super-committed young volunteers serve as mentors, tutors, and role models to keep other kids on track. Using early warning indicators: attendance, behavior, and course performance, corps members engage in communities and districts in 24 U.S. locations–more than 6,000 volunteers are part of the effort. The volunteers start their day before the morning bell rings, and stay after the last student goes home, spending time in academic support, attendance and behavior encouragement, and school improvement projects on the campus. Teams also create new initiatives and leave-behind initiatives like study centers, clubs, community service projects, social education classes, and environmental awareness programs. To be part of a corps team, you must be a high school or college grad (or GED equivalent); be able to dedicate ten months to service; be between the ages of 17-24; be a US citizen or right to work; pass a background check. Who do you know that’s got the right stuff and is up to the task of dedicating all they’ve got to youth being ever more exceptional? Find out how to join here. Youth in service–it is the future.